Los Angeles/Berlin based producer & artist, MLDY is back with his second single On With You, the follow up to last month's Chasing Hypes. Los Angeles-based singer Hayk Keys features in this lovely song and provides his heartfelt and powerful vocals over the infectious electronic production. I am loving that infectious beat and the song is quite uplifting and draws elements from Disco, giving the song a retro touch and making On With You a highly addictive piece of music perfect to dance and sing along to. 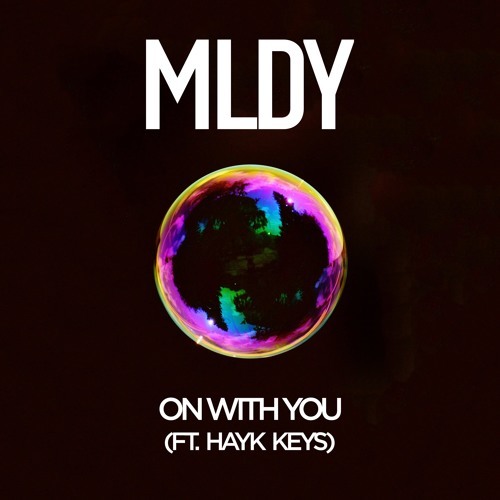 MLDY has crafted an awesome tune to get us in a good mood and forget about our problems. On With You was co-written with Sheppard Solomon (Natalie Imbruglia, Britney Spears, Paris Hilton, One Direction) and Jenny Karr (Jennifer Lopez/Paul Van Dyke/Paris Hilton). Stream this gem below!